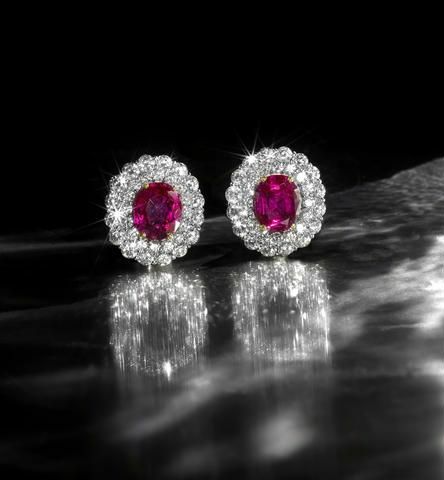 A pair of Burma ruby and diamond earrings. Photo Bonhams. Accompanied by a SSEF report stating that the sixteen natural rubies have no indications of heat treatment and originate from Burma (Myanmar). Report number 60903, dated 26 September 2011. 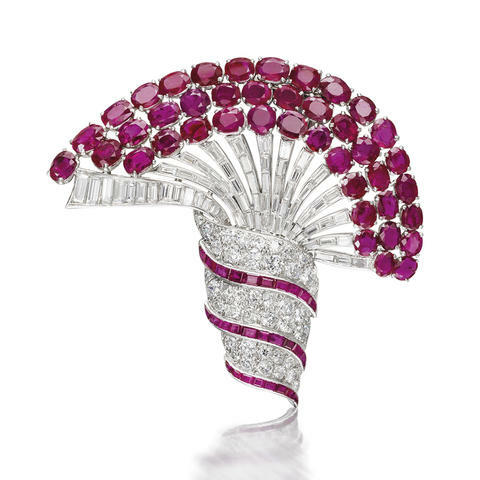 An Art Deco Burma ruby and diamond brooch, circa 1935. Sold for HK$ 500,000 (€52,718). Photo Bonhams. 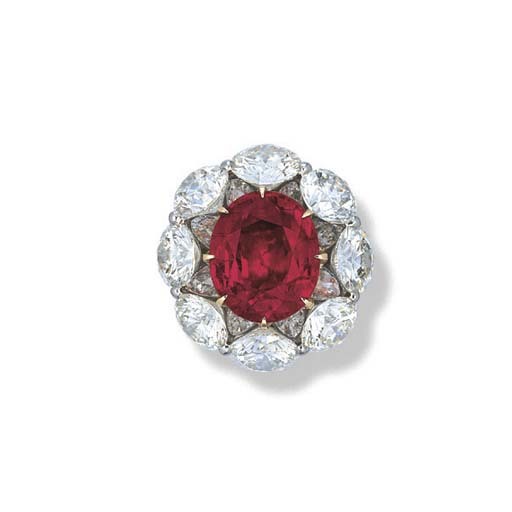 Accompanied by a SSEF report stating that forty-one of the forty-two natural rubies have no indication of heat treatment and originate from Burma (Myanmar). Report number 76362, dated 24 September 2014. 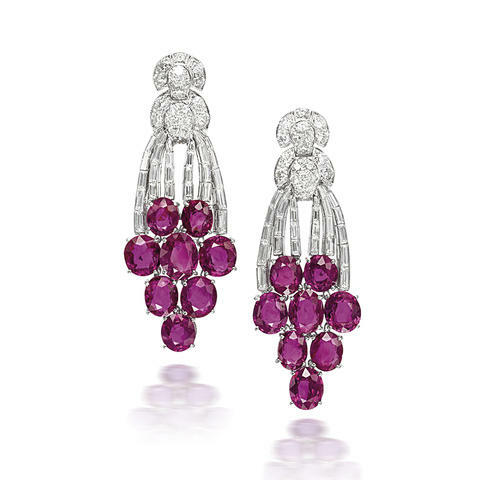 A pair of Burmese ruby and diamond cluster earrings. Photo Bonhams. Accompanied by a report from SSEF stating that the ruby weighing 3.89 carats is of Burmese origin, with no indications of heating. Report number 62163, dated 22 February 2012. Accompanied by a report from SSEF stating that the ruby weighing 3.67 carats is of Burmese origin, with no indications of heating. Report number 62164, dated 22 February 2012.